Flyers and ads can be created in all shapes and sizes. When choosing a flyer size, consider print costs, visibility, and your method of distribution. If you are printing in a magazine or newspaper, you will probably need to adjust your flyer or ad’s size to the publication’s print requirements. For stand alone flyers, designing your flyer two or four to a page makes for easy, fast, and cost effective printing. 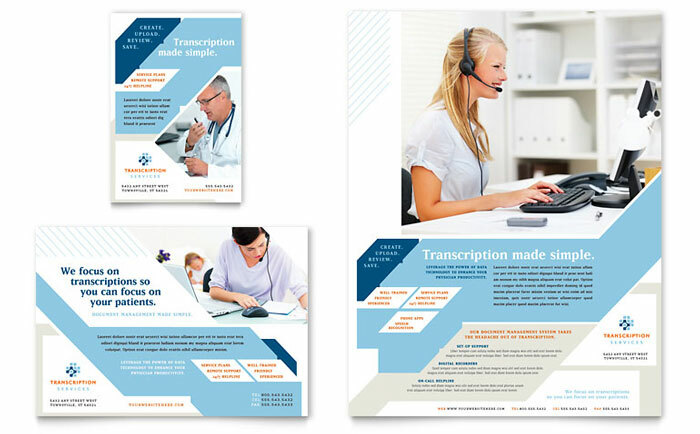 The first example below shows a StockLayouts half page flyer template placed 2-up on an 8.5 x 11″ sheet of paper, effectively making each flyers final size 8.5 x 5.5″. The image on the right shows a quarter page flyer placed 4-up on a page. 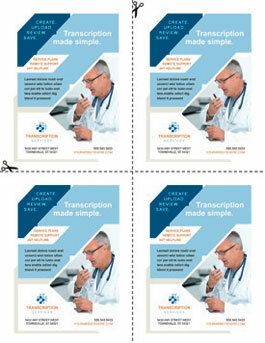 After cutting the document into four flyers, the size of each piece will be 4.25 x 5.5″. When printing on an 8.5 x 11″ sheet of paper, you must leave some margin for the printer. The above examples show that a white margin surrounds the design. If your printer supports borderless printing or you are sending out your design to a professional printer, you may want to add bleed or cut your design down to the desired size. If you need ideas and tips for distributing your flyer, please read How to Create and Distribute Promotional Flyers. 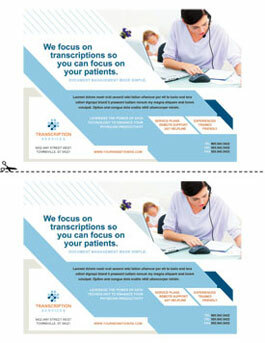 Purchase and download 1/4 and 1/2-page flyer and ad templates from StockLayouts. Find Microsoft Word flyer and ad templates at LayoutReady.com. Try a free sample flyer to see how easy StockLayouts templates are to customize.